As the restaurant strip in Kingsford gets busier, the rents go up and the chain stores move in, we're ecstatic to see a new old-school Indonesian hole-in-the-wall resto open. 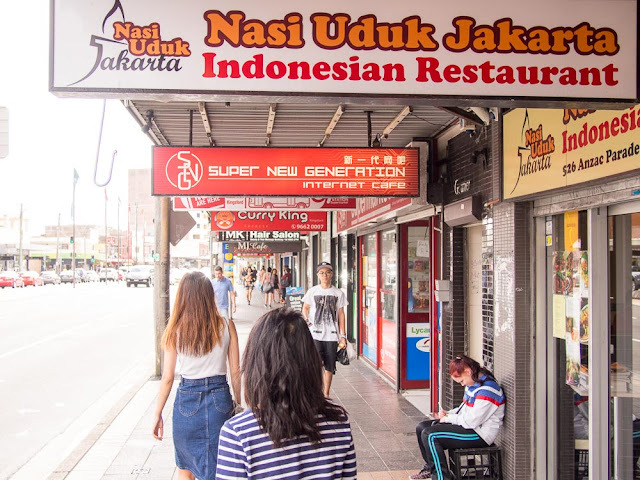 Nasi Uduk Jakarta opened some months ago in the spot where the legendary and nomadic ATL Maranatha lived for a short time. 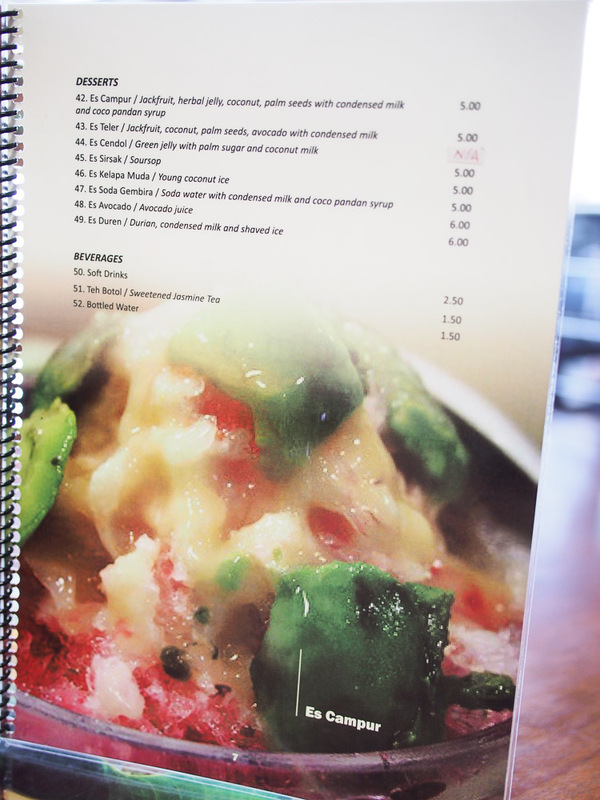 The decor is pretty much unchanged from what it was three restaurants ago. 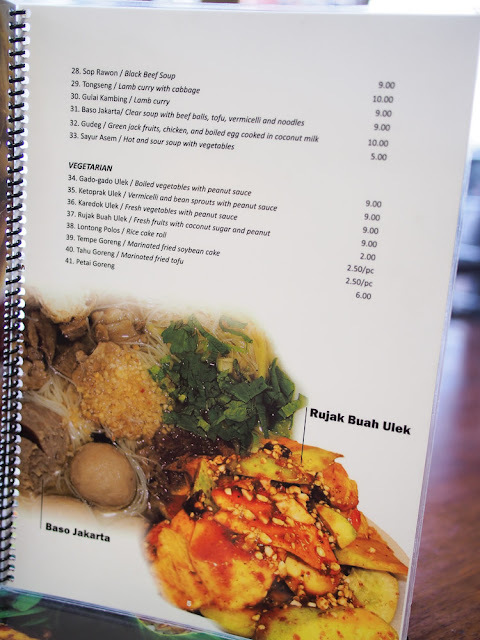 The menu and food veer towards the Chinese end of the Indonesian food spectrum. And it's run by super nice folks. What's not to love? We would have liked to have another couple of visits before writing a post but we've been kind of busy of late. We'll be back for sure. 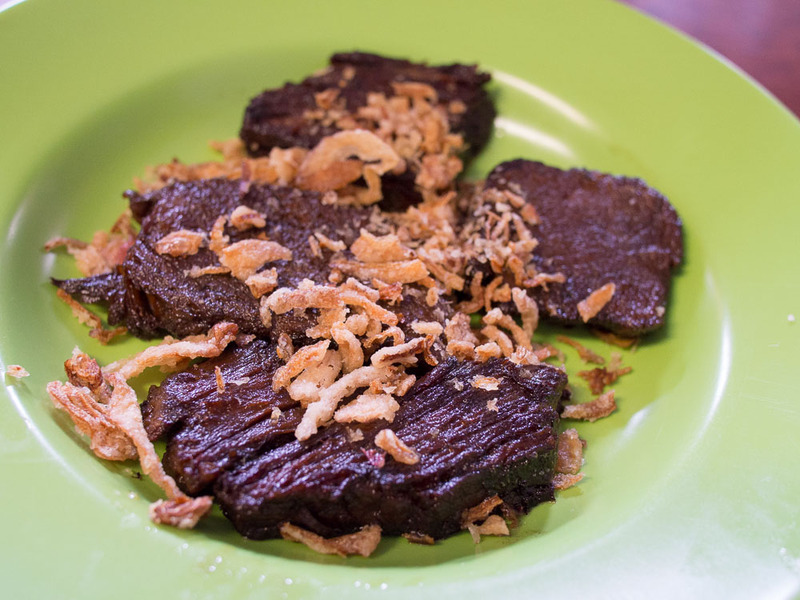 Empal - marinated fried beef - $8. Mouth melty beef, a little sweet and highly recommended. 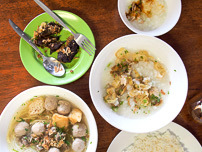 Bubur ayam Jakarta - Jakarta style chicken porridge - $9. Congee with an Indo touch - shredded chicken, bread sticks, shallots. 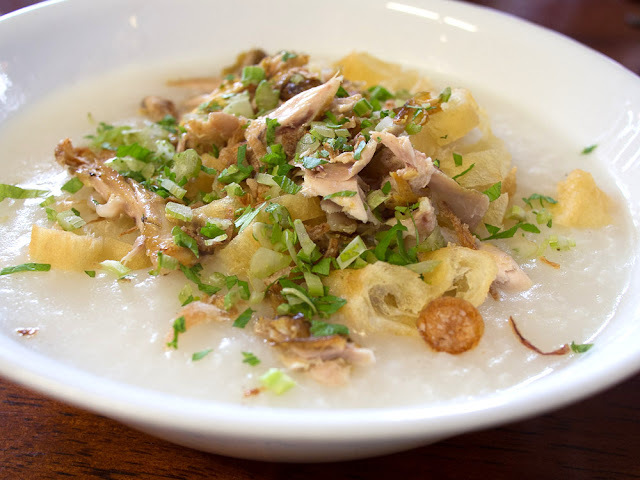 Bubur ayam is a new favourite dish of ours after getting hooked on it in Bali. 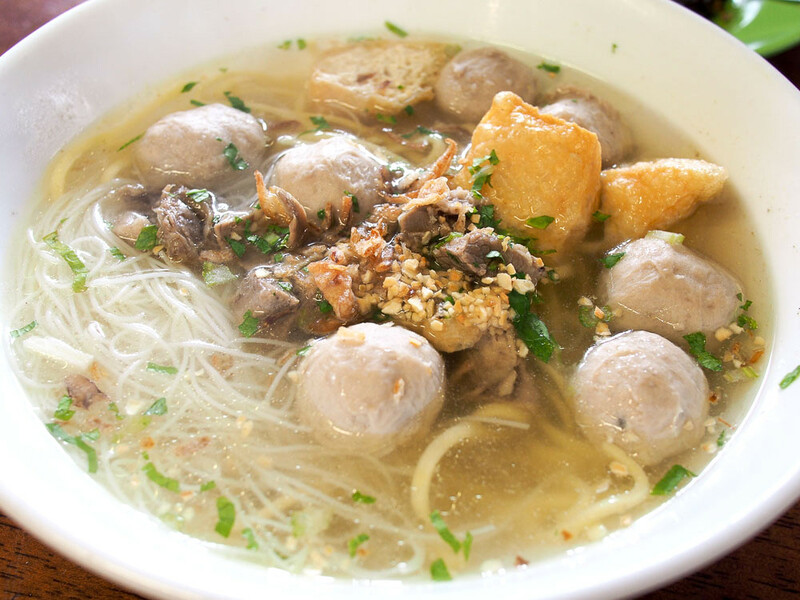 Baso Jakarta - clear soup with beef balls, vermicelli and noodles - $9. Nasi Uduk Jakarta is at 526 Anzac Parade, Kingsford. 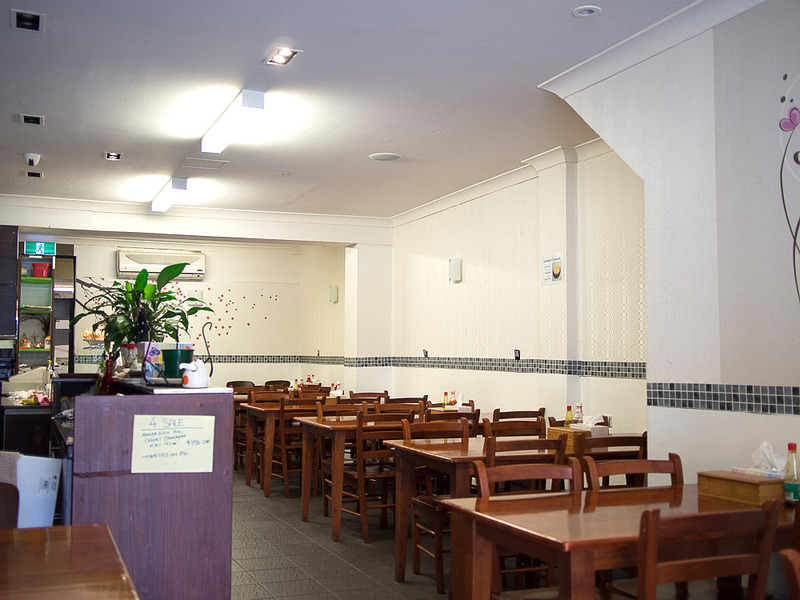 Phone 9662 2508. Hi, there's a new Indo's place at Ultimo Street (Haymarket, Chinatown) and they're quite good. 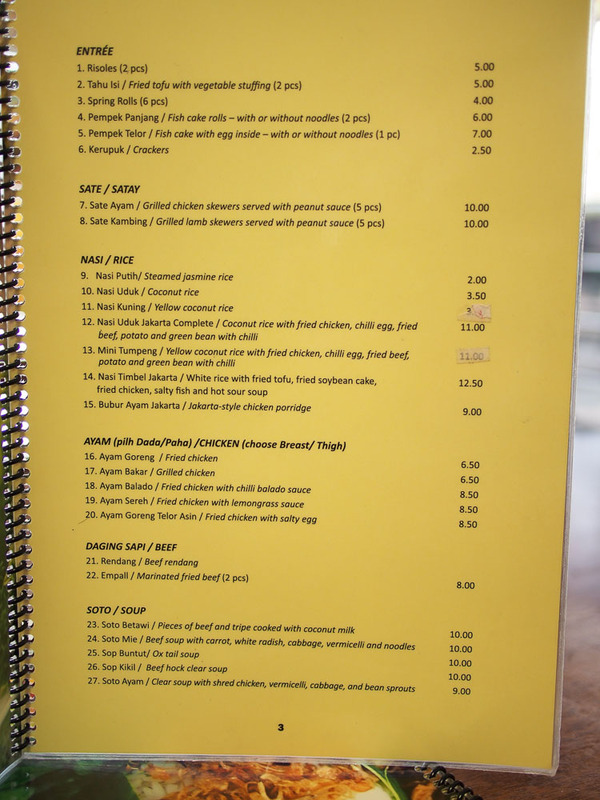 I like their "soto betawi" and I think it is the best in Sydney and even better than the ones in Ayam Goreng 99 and Nasi Uduk Jakarta. 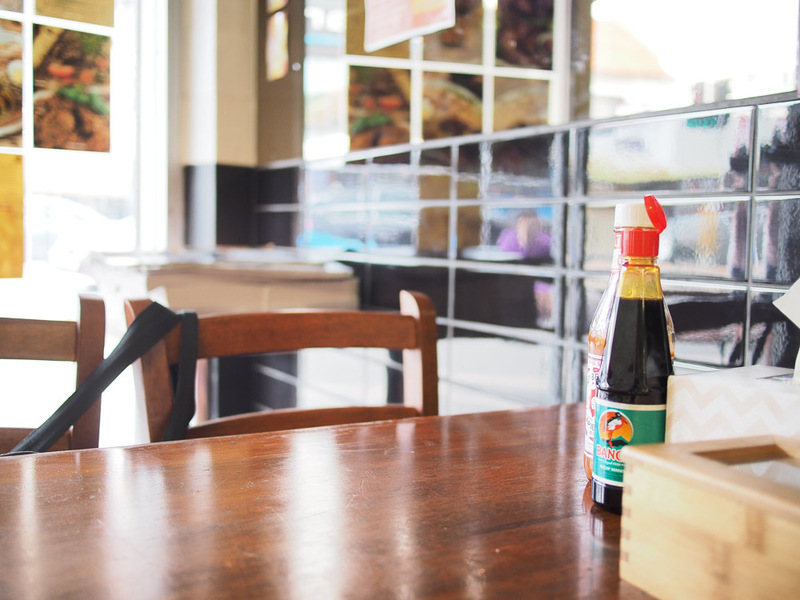 The restaurant's name is Podomoro and located close to Market City. You should check it out as lover of Indonesian food. Ah thanks - we've been digging Podomoro as well, we reckon it's top notch too, like really top notch.